Critical to the success of the 4 colors EMSIBETH (CROMAKY CHROMAKEY-IN '-CHROMAKEY-TIME THERMAL OIL ' COLOR). Possess a highly stabilized formula ' contain the unlocking of Micro essential pigments in EMSIBETH. 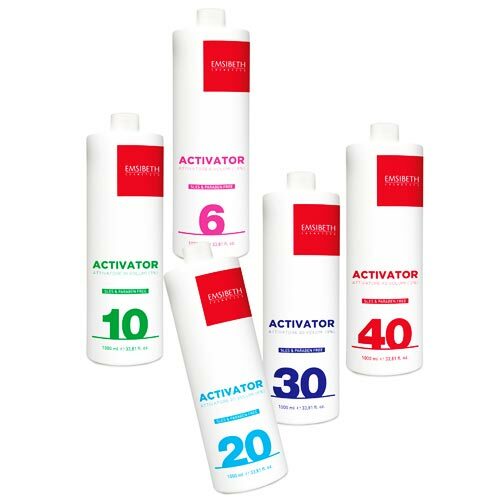 The cosmetic cream based ACTIVATORS EMSIBETH ' are full of Waxes and oils that protect the hair structure and allow you to maintain the color. Do not cause redness or irritation. • 40 volumes for strong lightening actions.